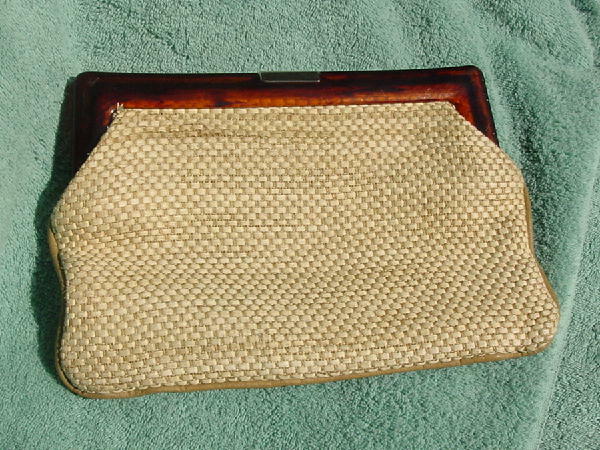 This vintage Rosenfeld clutch purse has an interior of dark bone vinyl. 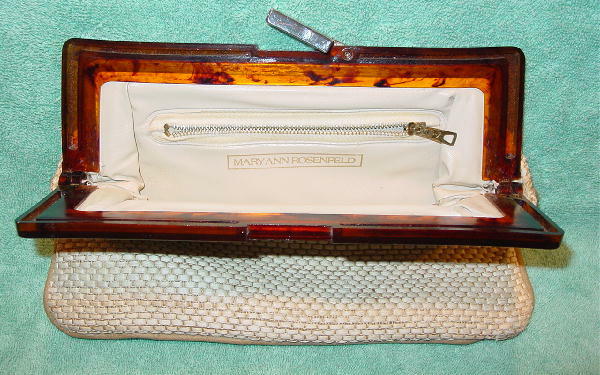 There is a zippered interior pocket with Mary Ann Rosenfeld etched in gold-tones. The exterior is in a woven soft twine-type fabric. The top is in a dark auburn plastic with a tarnished safety latch closure on top.